I have decided to start a series of articles and videos (on my YouTube channel) to address some of the misconceptions out there related to coffee and coffee gear. 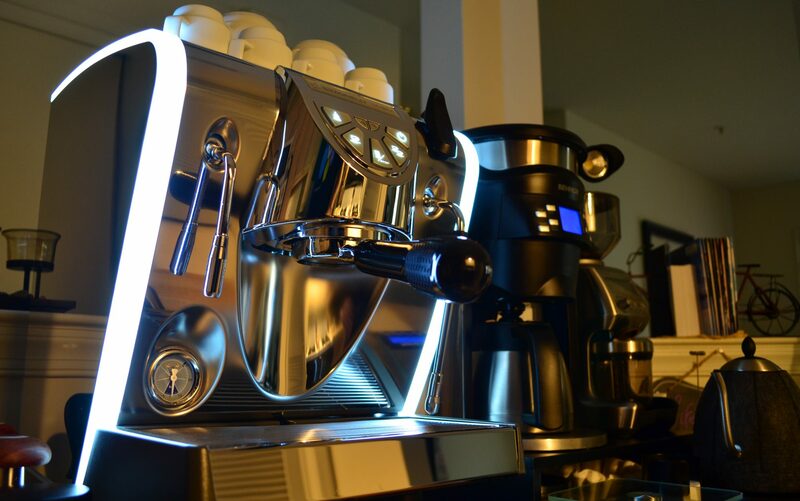 These articles and videos are not intended for the professional barista or the advanced home Barista who may have already upgraded their home coffee equipments to a semi-professional or semi-commercial equipments. Instead, the articles and videos are intended to provide basic understanding and things to keep in mind when buying coffee gear or when looking to improve coffee and espresso shots. The first misconception I’d like to address is that some people believe that spending more money on equipments and upgrading their Coffee gear will automatically result in better coffee (take their coffee game to the next level). The reason I’d like to address this first is because from my experience and from my time roaming and reading the coffee forums, home baristas and especially the new comers to the coffee world, tend to constantly upgrade their equipment in pursuing the God shot or the best coffee possible. This pursuit is problematic for many reasons and can be a money pit for home baristas for the following reason: the law of diminishing returns. You see, the law of diminishing returns, which refers to a point at which the level of profits/returns or benefits gained is less than the amount of money or energy invested, applies here. To illustrate this point I will be focusing on coffee grinders as an example, as it is one of the most discussed and upgraded piece of coffee equipment. I will also be making a set of assumptions in regards to each of the grinders’ performances as it relates to taste, based on online user feedback and coffee forums discussions. To start, I have chosen the following grinders and rounded up their prices (for ease of calculations). Looking at the table, you can visualize the point of diminishing returns in this case, which is going from the Baratza Sette to the Super Jolly. In this move, you would be spending $800 more just so you can gain 5 additional points or units of benefits! Definitely not a good value. On the other hand, the best move value wise seems to be going from the Hario Ceramic manual grinder to the Breville Smart Grinder pro as an additional $150 multiplied your points or units of benefits by 5 times! Please keep in mind that the table above does not take into consideration things like durability, looks & design preference by the user, etc. This table is to simply illustrate the point that spending more money may lead to a better coffee but only up to a certain point, after which any incremental increase in coffee quality will require a disproportionate (much higher) dollar investment.